The month of May brings the Russian capital a major highlight on the cultural calendar – the 12th Moscow Easter Festival. Forget festive cakes and Easter Bunnies bearing chocolate eggs: this is a musical feast. 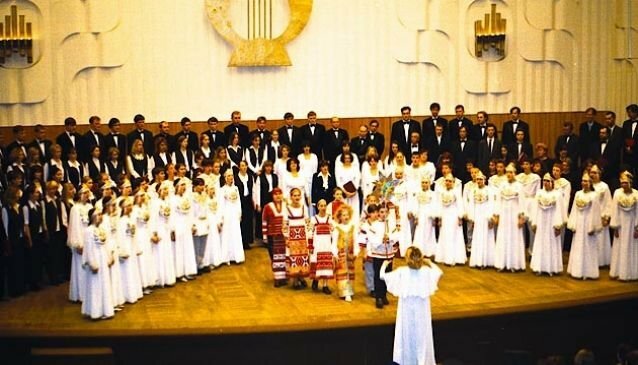 From May 5 to 16, 2013, Moscow and other Russian cities are to host a series of world-class musical events within the festival, spanning symphonic, choral and chamber concerts. But that's not all. 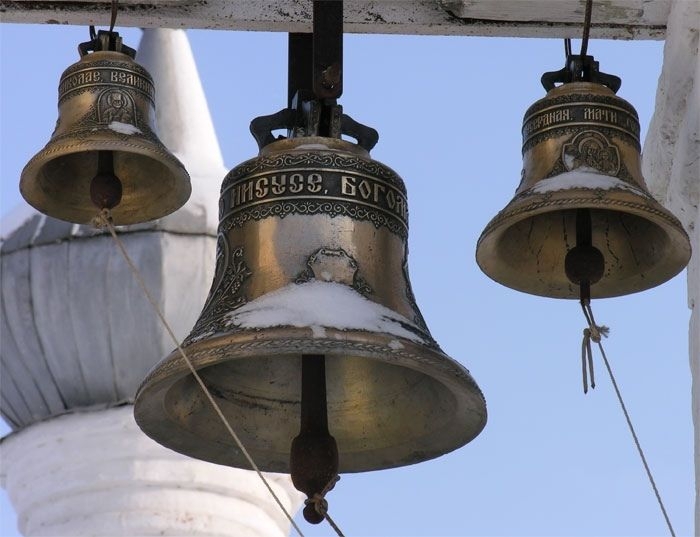 The festival's “Bells Week” programme treats even random passersby to the sound of spiritually uplifting ringing from beautiful bell towers all over Moscow – including the iconic St. Basil's Cathedral, the ever-photogenic Novodevichy Convent, and the Church of the Kazan Icon of the Holy Virgin on Red Square. The internationally renowned festival was founded in 2002 by the artistic director and chief conductor of St. Petersburg's Mariinsky Theatre, Valery Gergiev, together with Moscow's then-mayor Yury Luzhkov. The 2013 festival is dedicated to the 70th anniversary of the Battle of Kursk. A special feature is concerts taking place in key towns of this crucial World War II battle, such as Oryol, Belgorod, Bryansk and, of course, Kursk. The festival's geographical range is greater, however, with more than 20 towns in central and western Russia hosting events, from Murmansk in the north to Kislovodsk in the south. Still, Moscow is the main focus and hosts the festival's major concerts. The musical extravaganza opens on May 5 with three events in the capital. The “maestro” Gergiev is to personally conduct the Mariinsky Theatre Symphony Orchestra for two concerts in the Moscow Conservatory's Great Hall. The first, at 2 p.m., stars German operatic bass René Pape within a programme of works by Messiaen, Rimsky-Korsakov and Wagner. The second, at 7 p.m., is the festival's official opening ceremony, featuring Russian pianist Denis Matsuev and works by Messiaen, Tchaikovsky and Mussorgsky. Day one's programme also includes what's sure to be spectacular bell-ringing at Christ the Saviour Cathedral from 3:30 p.m. The following 11 days offer a jam-packed schedule with performers and ensembles from as far afield as Abkhazia, Armenia, Belarus, Czech Republic, Georgia, Greece, Hungary and Serbia. The festival is popular, so it's worth buying tickets in advance. If you miss out, you can still enjoy the bell-ringing, which may be enjoyed free of charge anywhere within earshot of the bell towers. Also, a free concert is planned on the May 9 Victory Day public holiday, when Russia marks the defeat of Nazi Germany in WWII. A festival climax, the concert takes place at the Poklonnaya Gora war memorial complex from 2 p.m., and promises Gergiev, Matsuev and the Mariinsky Theatre Symphony Orchestra presenting Rachmaninov's “Rhapsody on a Theme of Paganini”. If you're confused by the dates – “Hey, wasn't Easter on March 31?” – that's because Russian Orthodox Easter falls on a different date from Western Christianity's Easter. This year, Russia celebrates Easter Sunday on May 5. So if it's one of your favourite holidays, come to Russia in May for second helpings – and indulge your ears in some beautiful music. Some 100-150 events are scheduled to take place within the festival – far too many to list in detail here. To see the full programme in English, go to the web site en.easterfestival.ru.